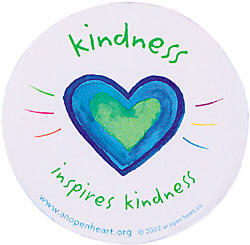 Carry out Random Acts of Kindness Daily – You Know It Feels So Good to Do So! As part of Personal Socially Responsibility (PSR), you might want to consider carrying out random acts of kindness on a daily basis. It is truly a win /win / win situation. The person you are being kind to benefits through your help. You feel good for having helped someone. And the world is a better place through your kindness. Never underestimate the impact of a single act of kindness. I still remember after all these years, how someone stopped and helped me after I had broken down. Since then, I have stopped on the road myself and helped stranded motorists a number of times. All because of that single act of kindness by a stranger. Also, it is important to carry out your acts of kindess without expecting anything back. To get you started, I have listed a few ideas below. •	Make a card at home and send it to a friend for no reason. •	Put some coins in someone else’s parking meter. PS – Please do share your own ideas and how you get on with spreading kindness in the world. I love Arvind’s idea of a world where there is more kindness, expecting nothing in return. I would like to offer this thought to all my friends out there in business; I try to conduct myself at all times in a courteous, polite and respectful fashion, and sometimes feel like this is not a common attitude! I encounter so many cases of people who do not return phone calls, voicemails, email messages; my view is, even if the message is from somebody who wants to do business with you, it costs very little to return messages and a polite ‘no thankyou’ is not so difficult, rather than waste other people’s time by ignoring them. I have also taken to sending friendly, personal-level messages to business contacts, with nothing requested in return (e.g. get well soon messages). Picturing the smile on their face when they read such an email, in a sea of ‘spam’ is reward enough! One other suggestion; buy an inspiring book and give it to a business contact… I did this, and the person I gave it too was overwhelmed. The cost was almost nothing, but it really made her day! Let’s have more kindness in the world. Good on you, Arvind! I have an extra way of bringing happiness. I realised that, as I am fortunate to move amongst many people who also wish to bring happiness, I could bring the biggest smiles by letting them know they had succeeded. For example, telling a friend how easy I find it to be honest and undefended in her company, or (in an edgy work situation) letting a colleague know that I felt supported just by her presence. Knowing when we succeed is the greatest motivation to carry on.